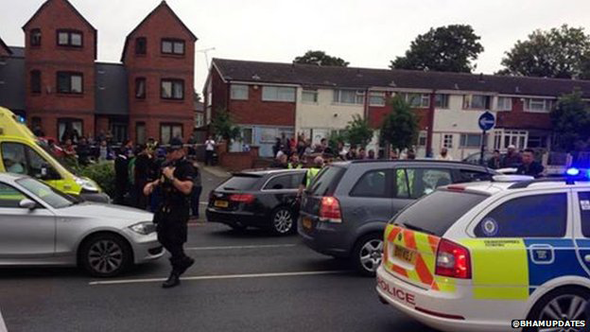 A man has been shot dead during disorder in Birmingham, police have said. 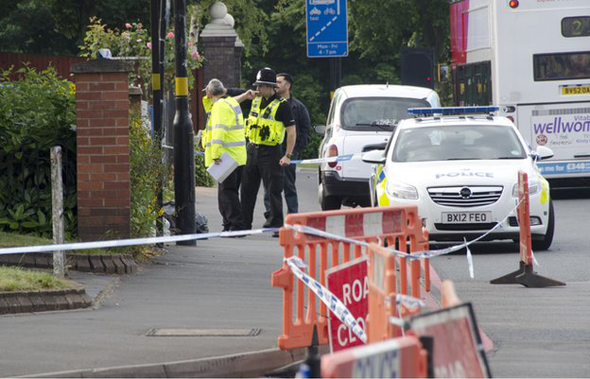 West Midlands Police were called to the Stratford Road in Sparkbrook at 19:30 BST on Wednesday. Two other men, one with knife wounds and another with gunshot injuries, were taken to hospital for treatment. A number of arrests have been made, police said. Farm Road and Grantham Road have been sealed off while police investigate the scene. The A34 Stratford Road was closed all Thursday morning but reopened at lunchtime. One shopkeeper, who did not want to be named, said he had been leaving the area on a bus when a woman in front of him cried out and he looked out of the window. "I saw a man lying in a pool of blood by the side of the road," he said. "People were surrounding him and trying to help. "I didn't understand what I was seeing, whether he had been shot or stabbed. "It has made me scared. I'm worried about my shop." A woman said she had been travelling on a different bus when it was stopped on the way into Sparkbrook. "They wouldn't tell us what was happening," she said. "But the bus wasn't allowed to go any further. "People were saying the road was closed due to a shooting." Another shopkeeper, who did not want to give his name, said he had been locking up for the day, at about 19:20, when he saw a "large group" had gathered. "There were about 200 to 300 lads hanging around, it was a large number," he said. "Then after that lots of police came down. "Customers have told me it's a murder investigation but I don't know what it's about." He added: "It does happen around here, groups fighting among themselves. "You do see large groups of young lads hanging around. "But it doesn't usually escalate to this kind of violence." 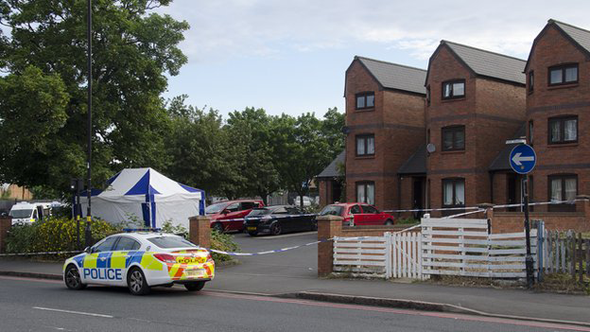 Councillor Tony Kennedy, who represents the Sparkbrook ward for Birmingham City Council, said the community was shocked and dismayed by the events. "Clearly this is an ongoing investigation with many lines of inquiry," he said. He urged anyone with information about what happened to contact police.